Can You Eat Raw Marijuana? Can You Smoke Marijuana With A Concussion? You can’t get high from eating raw marijuana, but it may offer some health benefits. If you’ve ever wondered whether you can get high from eating raw marijuana, the quick answer is no. To get the full psychoactive effects of marijuana, the plant matter needs to be decarboxylated. But some people believe that there are other benefits that you can get from eating raw marijuana. 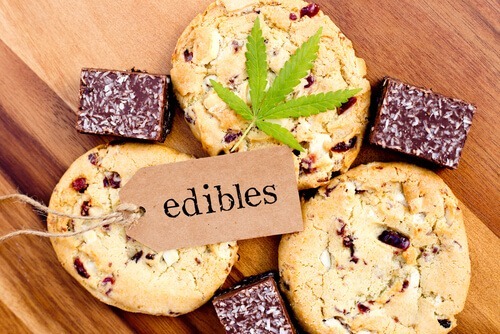 Here, we talk about the pros and cons of eating raw marijuana, and how to maximize the effects of edible marijuana. Is It Safe To Eat Raw Marijuana? It is generally safe to eat raw marijuana (aside from potentially getting an upset stomach) but if your goal is to get high, eating raw marijuana won’t help you. To get the full psychoactive effects of marijuana, you first need to decarboxylate the plant matter. The process sounds complicated, but it is a very easy step in the process of making edibles. Decarboxylation or “decarbing” is simply heating cannabis to a hot enough temperature to activate the plant’s cannabinoids. Marijuana needs to reach temperatures over 220oF to be decarboxylated, which is otherwise easily achieved by smoking or vaporizing. Consuming raw marijuana may upset your stomach. Some people have reported that eating raw marijuana made them sick to their stomachs. There isn’t any scientific study into why this happens, but it is important to keep in mind if you choose to eat raw marijuana. It’s possible that compounds in raw marijuana are responsible for this effect. There are many plants that must be cooked before eating, or that are easier to digest after cooking. Like many other crops, commercial marijuana may also contain pesticides and insecticides that can make you sick if not properly cleaned. Of course, some people tolerate raw marijuana without a problem. Contrary to popular belief, very little THC is actually found in raw marijuana. In its raw form, marijuana contains far more tetrahydrocannabinolic acid (THCA), an acid form of THC. Raw marijuana also contains CBDA, the inactive acid form of CBD. The chemical reaction caused by decarbing removes carboxyl groups from the compounds, converting THCA to THC and CBDA to CBD, and turns them into their active forms. Once this carboxyl group is removed, the marijuana is ready to be consumed and will have its normal effects. 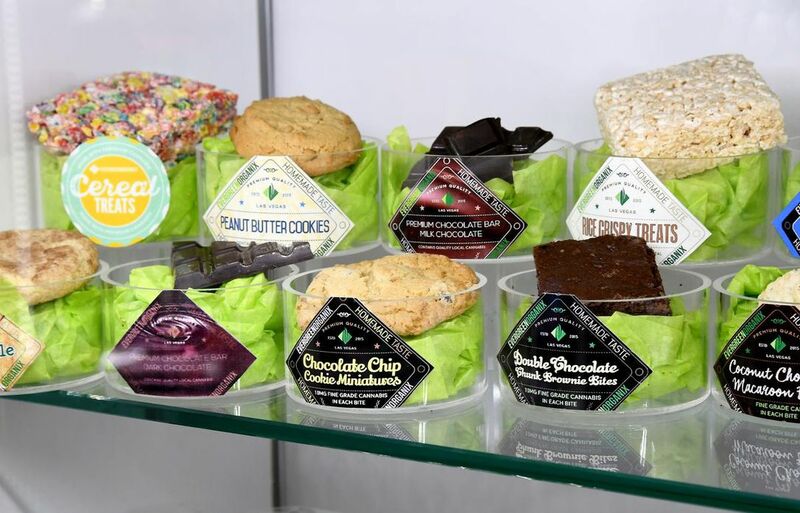 Marijuana edibles should be decarboxylated and dissolved in fat. 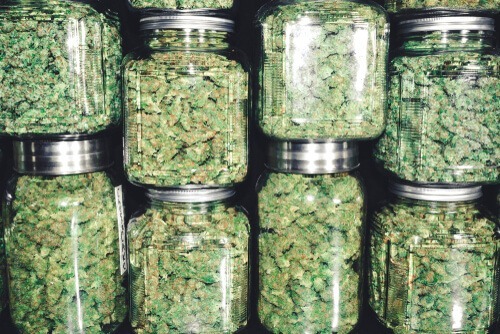 Once you have decarbed your marijuana, it can be consumed and will produce a high. But to maximize the effects, it is best to add the marijuana to a butter or cooking oil. THC dissolves in fat, not water, so it is easiest for your body to digest it if it is consumed with a fatty or oily food. Unlike smoking, which can produce a high almost immediately, edible marijuana is first digested in the stomach before entering your blood and making you high. This means that the high will come on more slowly and can last much longer than smoking. If your goal isn’t to get high, there are other health benefits that you can get from eating raw marijuana. Many non-psychoactive cannabinoids that are normally lost at high temperatures have health benefits such as anti-tumour effects. A 2012 study found that for some people seeking the therapeutic effects of marijuana, raw cannabis may even be a better option for people that experience unpleasant side effects from activated marijuana. THCA has many of its own benefits. There is scientific evidence that it can help boost immune function and that it even has anti-inflammatory effects. Some people also believe that by not heating marijuana, you can preserve many desirable terpenes and flavonoids, which also have many of their own health benefits. This is similar to how some people believe raw fruits and vegetables are healthier than their cooked counterparts. Marijuana plants, like other leafy greens, are also high in fiber. Non-psychoactive hemp seeds also have a lot of health benefits that have been backed up by scientific study. For example, hemp seeds have been found to help reduce high blood pressure. They are also high in protein, healthy fats like omega-6 and omega-3 fatty acids, and antioxidants. Even though eating raw marijuana doesn’t get you high, there are many other benefits to eating the non-psychoactive form of the plant. If you do want to try this, make sure to start with a small amount in case it upsets your stomach. There are also many ways for you to turn raw marijuana into an edible that can provide the effects you’re looking for. Why Does Marijuana Make You Dizzy?